The VSMU mount includes the universal HBU bracket that is compatible with most heavy duty projectors. Chief VCM series mount provides the strong support you need for mounting heavy LCD/CRT projectors. Micro adjustments allow you to quickly achieve registration. 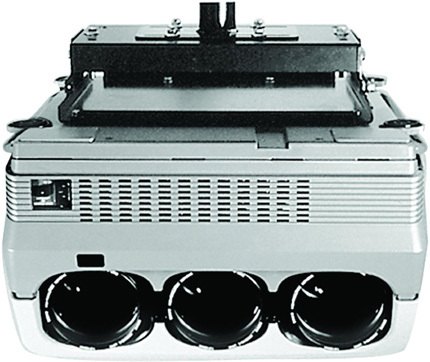 The VCMU mount includes the universal HBU bracket that is compatible with most heavy duty projectors. Question: How do I know when to order the VCM Mount rather than the RPA? Answer: Chief's cross-reference chart tells you exactly which mount to order for your projector. Question: Do I need to order the HB bracket separately? Answer: No, the assembly ships complete when you order a VCM ceiling mount. The HB bracket as a separate part number is used only for Chief lifts. 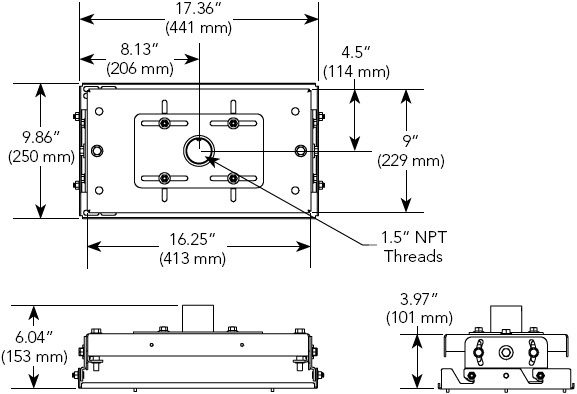 One VCM part number includes both the universal top and HB bracket. Question: How much assembly is required? Answer: None. Just attach the HB bracket to your projector. Question: How much height will it add to my installation? Answer: The VCM top is only 4" high plus various HB bracket heights. Question: How much weight does the mount hold? Answer: Each mount is custom designed to support the weight of the projector models specified. However, your ceiling must hold at least 5x the total weight of your installation. Question: Do I need any additional accessories to install the VCM? Answer: Yes. The VCM can be flush mounted to the ceiling with the LPK1 Low-Profile Mounting Kit. However, often times you will need to lower your projector from the ceiling a specific distance and you will want to order the appropriate accessories. Choose the right solution for your installation.